Its been a journey and finally, the release date is just days away! 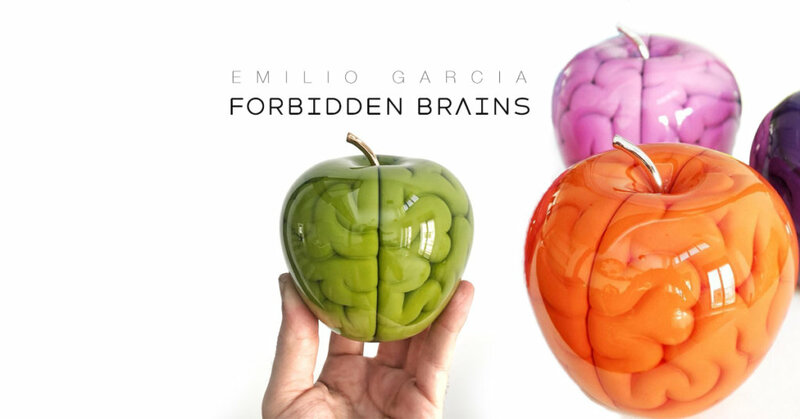 Emilio Garcia highly anticipated the release of his Forbidden Brains. Back in June, we shared information on a new Forbidden Brain release by Emilio Garcia (read HERE). At the time we were gobsmacked with how freakin’ beautiful these pieces by Emilio. We are super happy to see more colourways have been revealed earlier on today. Hold on tight guys and get ready to sell your body for the Forbidden Brain. Still amazed by the craftsmanship and seeing all the new colours it’s gonna be a hard one to choose (that’s if you can get hold of one) Emilio quotes up to 11 different colours. Made of fine resins, acrylic and bronze by Emilio Garcia himself, RED and GREEN editions will be strictly limited to 30 pieces worldwide. Find Emilio via Website, Instagram, Flicker and Facebook.